NOVEMBER 4, 2017. 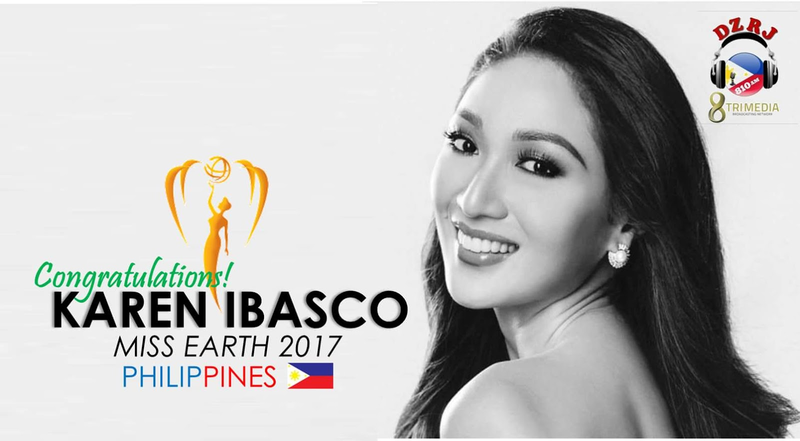 MANILA, Philippines - KAREN IBASCO FROM THE PHILIPPINES WINS MISS EARTH 2017. The last time the Philippines won Miss Earth was in 2015 when the country was represented by Angelia Ong. She succeeded another Filipina beauty queen, Jamie Herrel, who won the same title in 2014. Karen Ibasco won total of five medals in the competition - three golds and two silvers. Aside from Ibasco, the other contestants making up her so-called elemental court are Australia’s Nina Robertson as Miss Earth Air 2017, Russia’s Lada Akimova as Miss Earth Fire 2017 and Colombia’s Juliana Franco as Miss Earth Water 2017. Miss Philippines Earth 2017, the 17th edition of Carousel Productions' Miss Philippines Earth, will be held on July 15, 2017 at the Mall of Asia Arena, Pasay City, Philippines. Loren Mar Artajos, who assumed the title of Miss Philippines Earth 2016 (after Imelda Schweighart resigned for the organization) crowned Karen Ibasco from Manila as her successor at the end of the pageant. 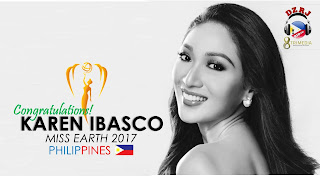 Ibasco will now represent the Philippines in the Miss Earth 2017 pageant. 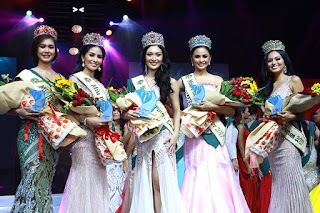 The announcement of the elemental court was made in random order, since all the titleholders under Miss Philippines Earth are of equal bearing, a first since 2010. Ibasco won the second crown for City of Manila, the last time being was in 2015 by Angelia Ong. She also made history by becoming the oldest titleholder to hold the Miss Philippines Earth title.